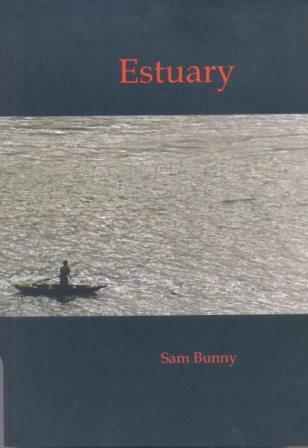 Estuary, by Australian author Sam Bunny, is a tale of people living in the shadow of war. It is an ambitious story that spans two generations and moves between Melbourne, Sri Lanka and Vietnam. It is the story of Mac, whose father is killed in Vietnam War just days after his birth, and who is abandoned by his mother. He is raised by his uncle – who the novel simply calls Uncle – himself a Vietnam vet who bares the physical and emotional scars of his experiences there. Mac grows up and falls in love with Uluru a Sri Lankan girl with her own experiences of a different war – the civil war in Sri Lanka. Together Mac and Uluru travel to Sri Lanka during the ceasefire of the early two thousands, and begin to build a new life for themselves. Sri Lankan readers will be particularly interested by this outsider’s view of the country. To Mac Sri Lanka is beautiful and exotic but also poisoned by war and by poverty. There are mentions of corruption at various levels of society and of the complicated politics of the country. However there are also descriptions of the generosity of poor people and of deep, lasting friendships Mac and Uluru make with some of the Sri Lankans they meet here. But then events threaten to destroy the new life they have planned…. The novel also tells the story of Uncle and Mariela, Mac’s adopted parents who meet and fall in love during the Vietnam War. This has the feel of a first novel of a promising writer. Bunny’s writing is evocative whether describing the battlefields of Vietnam or the beaches of Sri Lanka. His characters are well drawn out and likeable. All in all it makes an entertaining read.